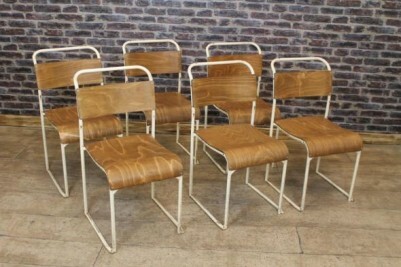 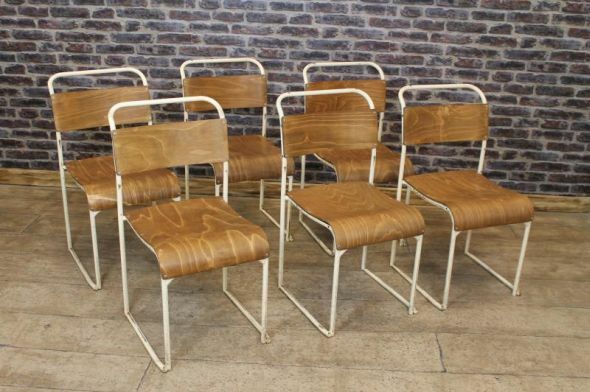 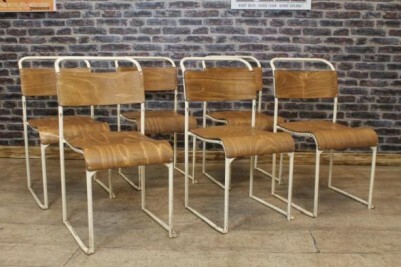 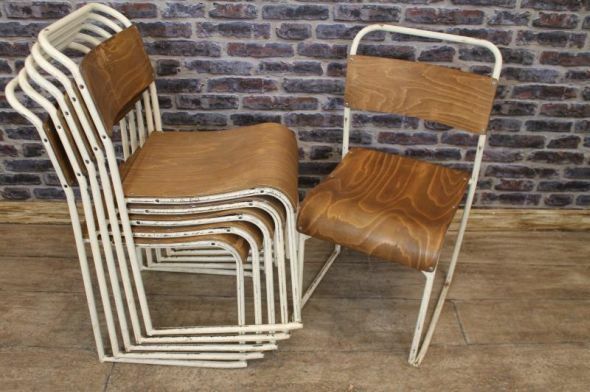 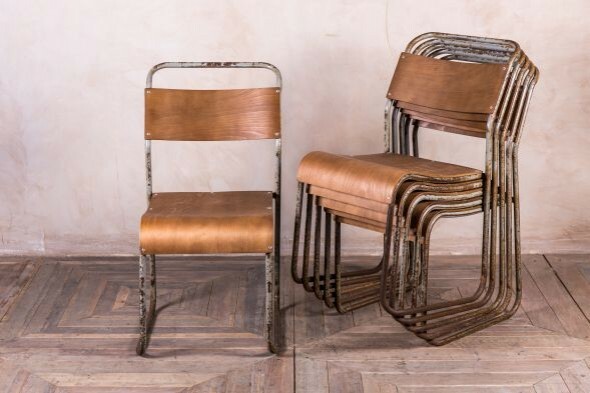 These metal stackable chairs form part of our large range of stacking chairs that we currently have for sale, which are ideal for any retro interior, restaurant, cafe, etc. 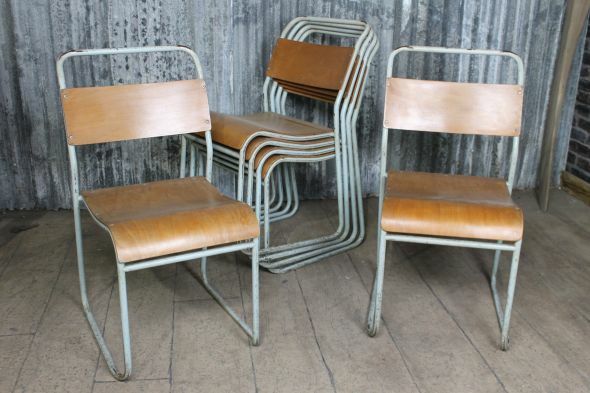 These vintage stacking school chairs are extremely sturdy with their shabby chic steel frames and plywood seats and backrests. 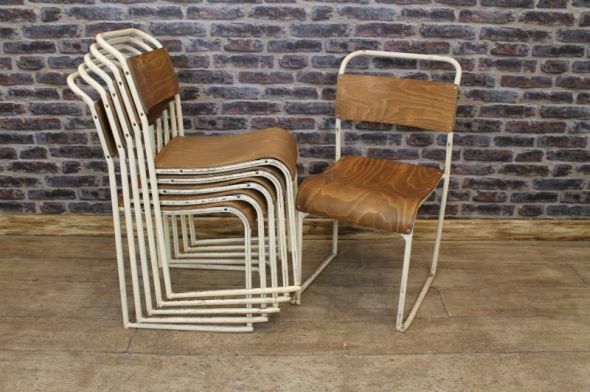 A classic design from the early 1950s, this chair is being sold individually, but we do have more available. 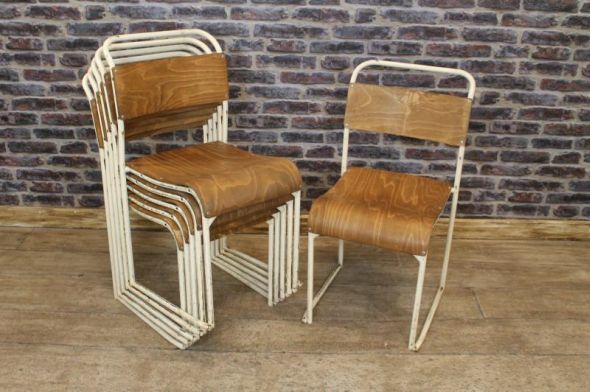 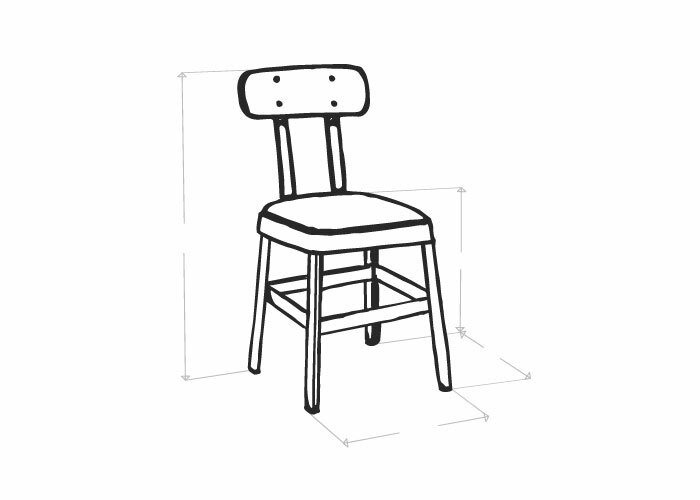 The chairs conveniently stack away – ideal for restaurants, or for anyone with limited space. 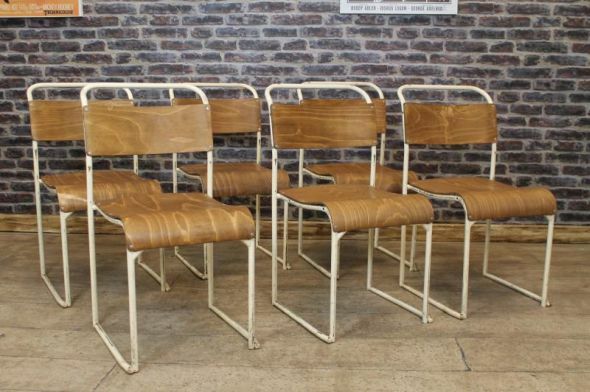 These plywood vintage stacking school chairs are in good condition for their age; however, there are signs of general wear and tear due to them having been used on a daily basis. 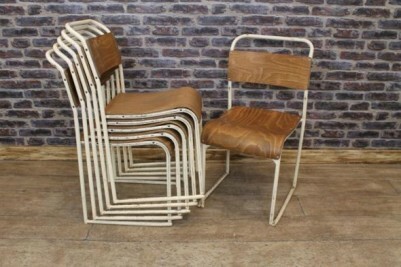 Please note, this price is for one chair.